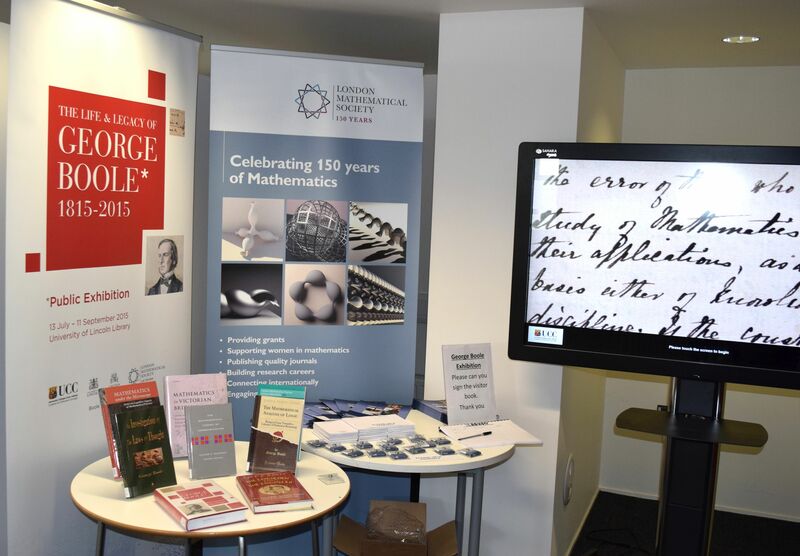 An exhibition celebrating the bicentenary of George Boole simultaneously opened in University of Lincoln http://library.lincoln.ac.uk/news/2015/07/06/george-boole-exhibition/ and in University College Cork, Ireland. 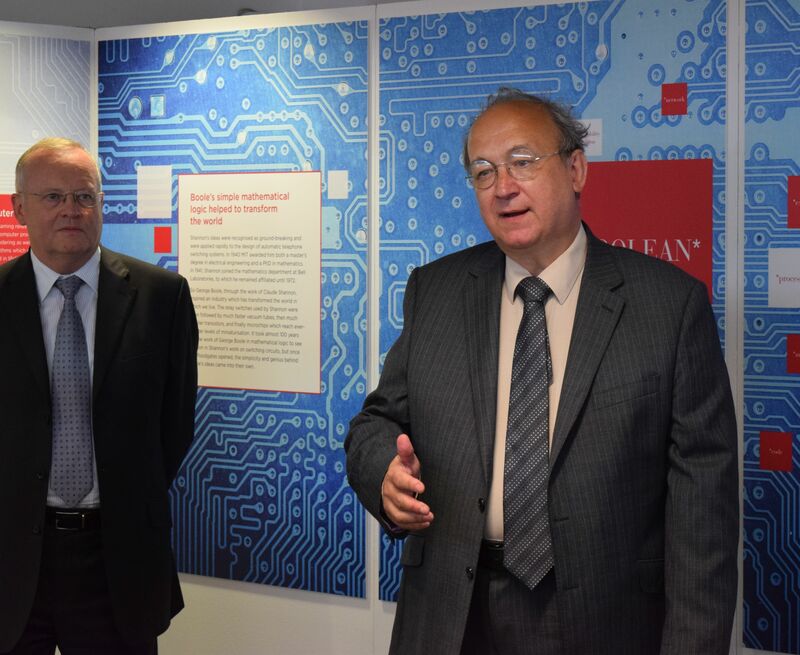 The launch event in the University of Lincoln Library on 16 July was attended by Prof Alexandre Borovik, a trustee of the London Mathematical Society, which awarded a “Local Heroes” grant for support of the exhibition in University of Lincoln and Lincoln Cathedral. A short speech by Prof A. Borovik can be found here: http://education.lms.ac.uk/2015/07/george-booleglobal-hero/ . 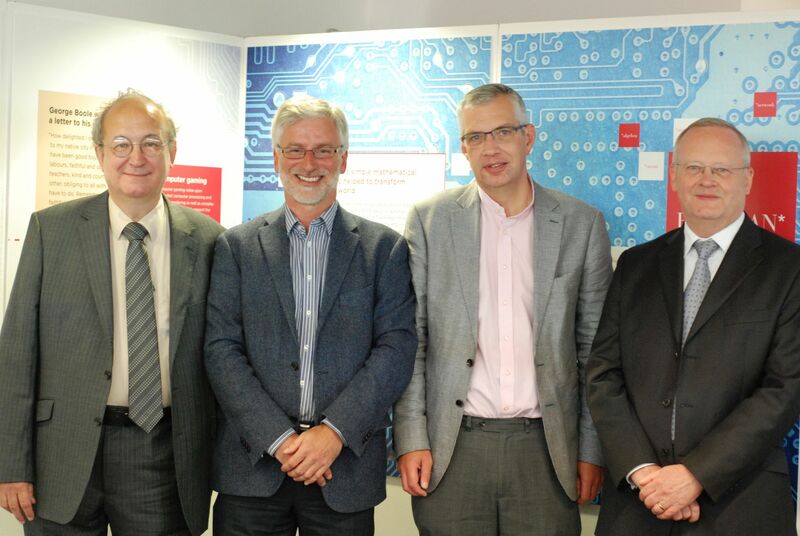 The exhibition was formally opened by Deputy Vice-Chancellor Prof Scott Davidson (who, by the way, mentioned how people in Law Dept., when using one of the first computerized databases in 1980s, had to learn Boolean “and”, “or”, “not” and bracket arrangements). The University Librarian Ian Snowley outlined the story behind the exhibition and thanked all the parties contributing to its success. LMS provided partial support for the exhibition. Lincoln Uni Library exhibits books by G. Boole, A.Borovik, E.Khukhro, D.MacHale, et al. This entry was posted on July 22, 2015 by Evgeny Khukhro in News and announcements.